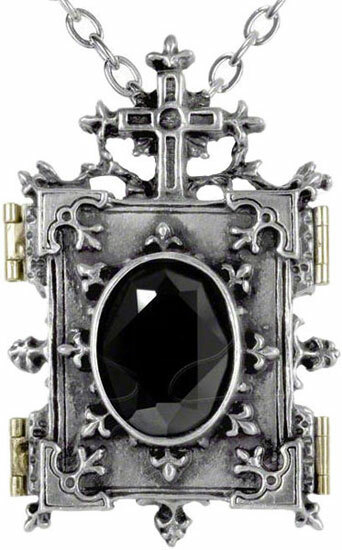 Open book photo locket in the classic style of an Eastern Orthodox Church icon, with brass hinges and fasteners. This elegant locket can hold two 20 x 30mm size pictures, to keep those near and dear close to your heart. 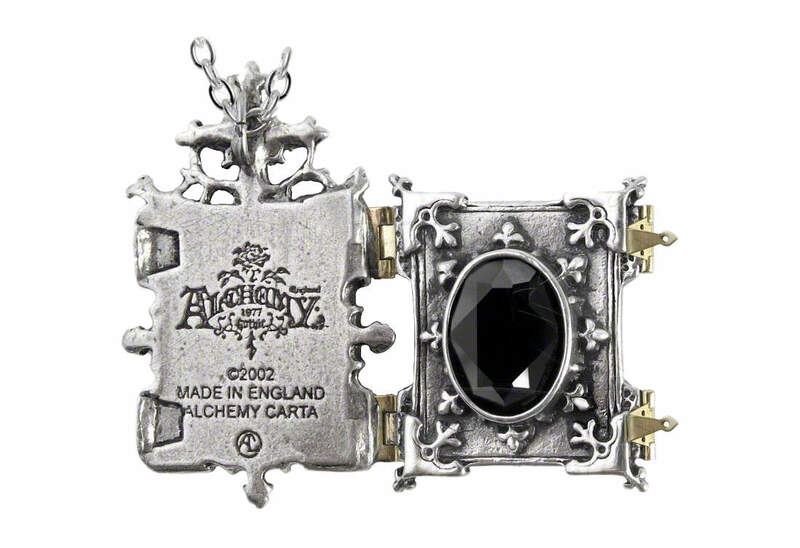 It's made of fine English pewter with black Swarovski crystal. 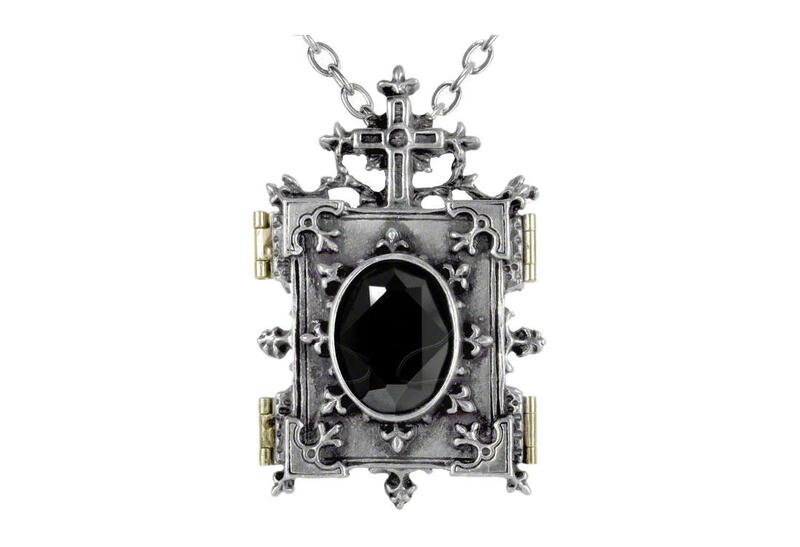 Measures approximately 1.46 inches wide, 2.28 inches high and 0.67 inches deep with a 21 inch chain.